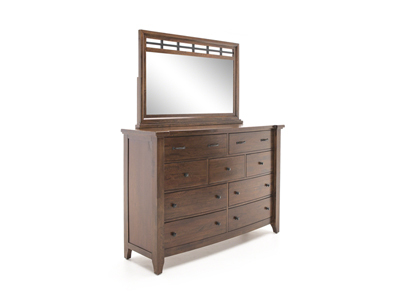 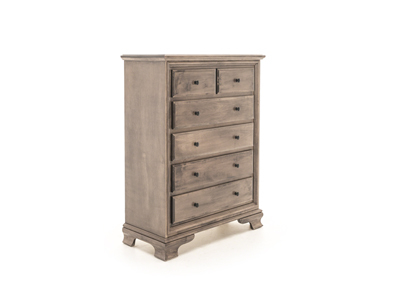 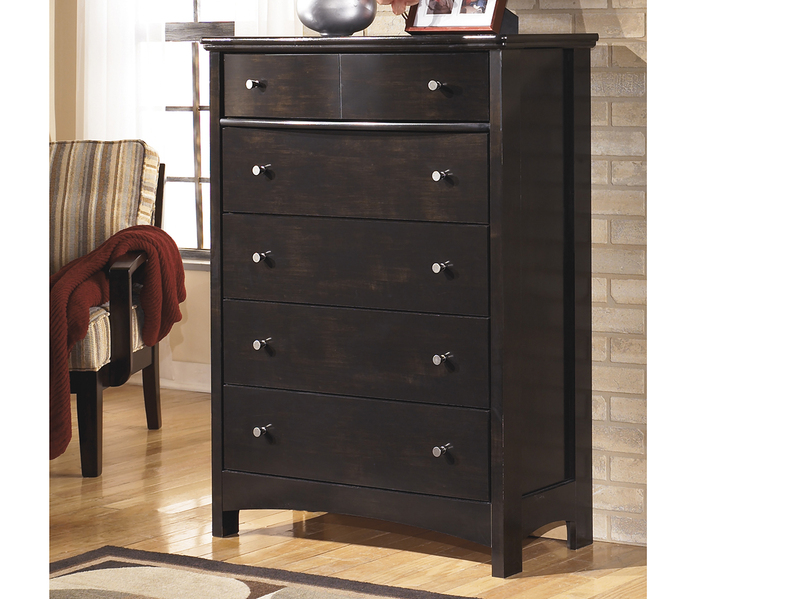 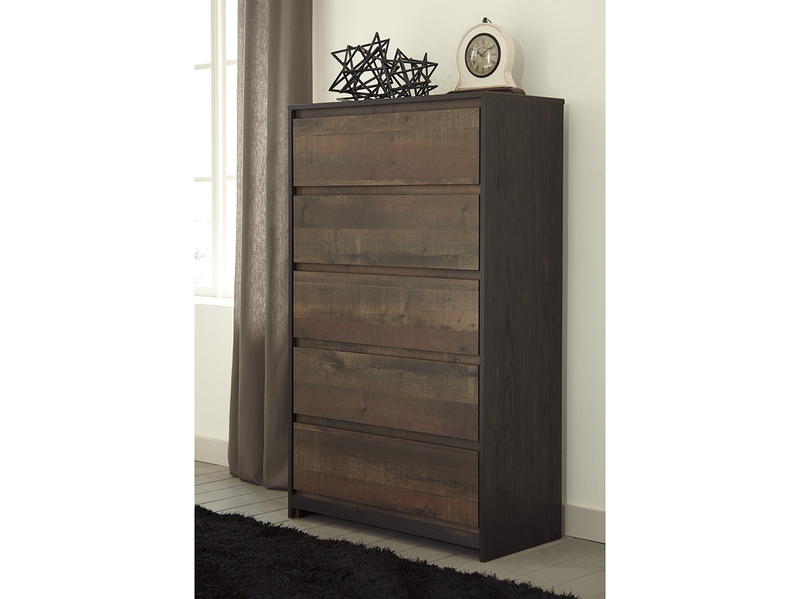 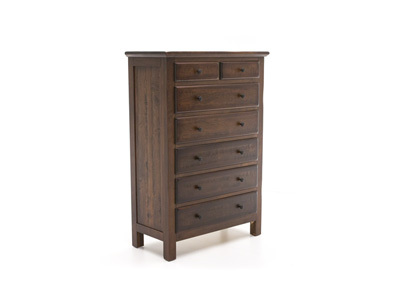 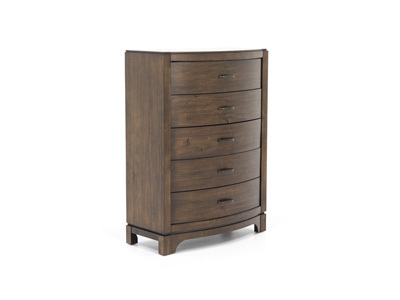 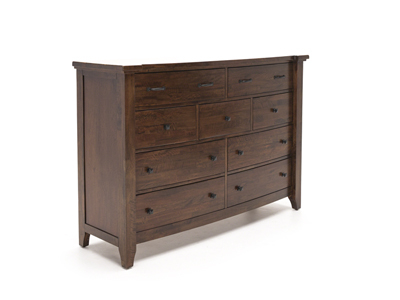 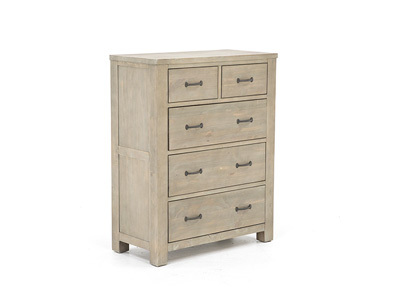 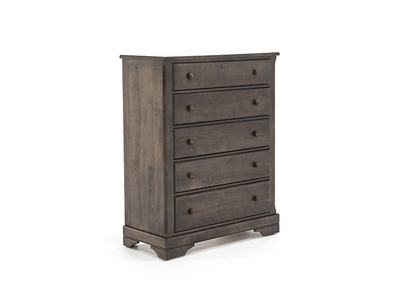 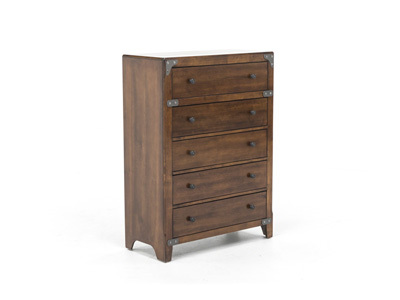 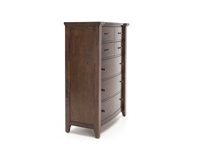 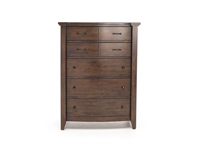 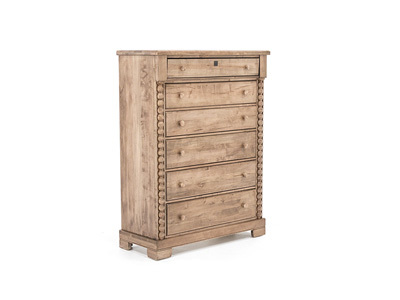 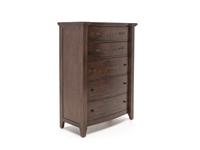 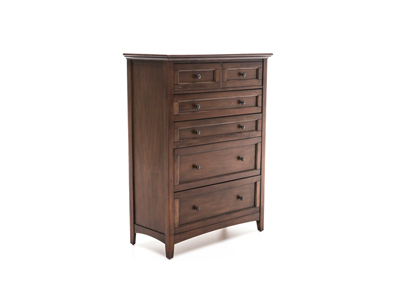 The Whistler Retreat chest features 5 large oversized drawers. 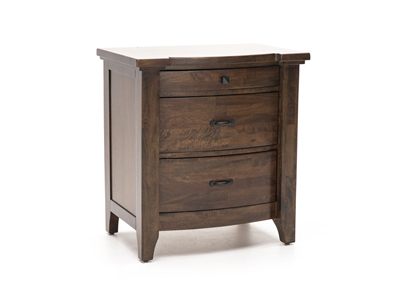 The extra thick and shaped top is complimented with a shaped bow front that produce a casual and appealing style for todays market. 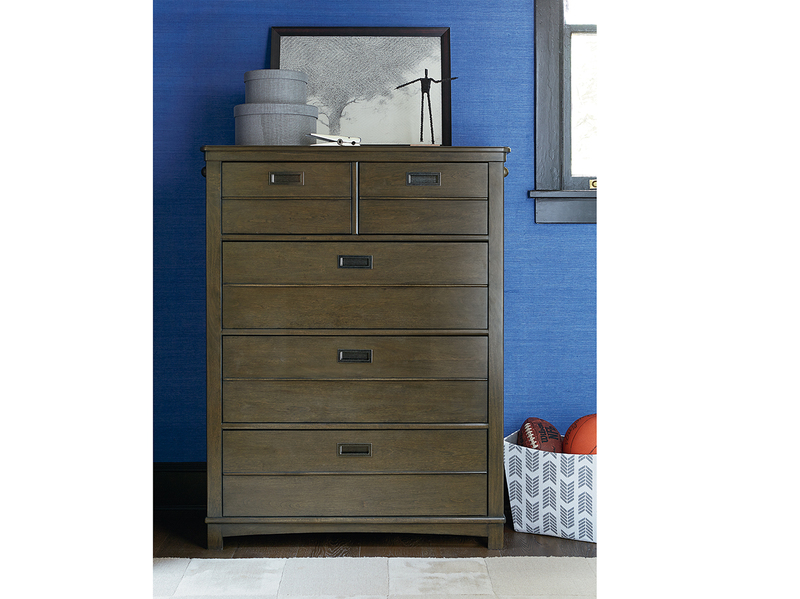 Full extention metal ball bearing guides allow for easy and full access to the interior of the drawer. 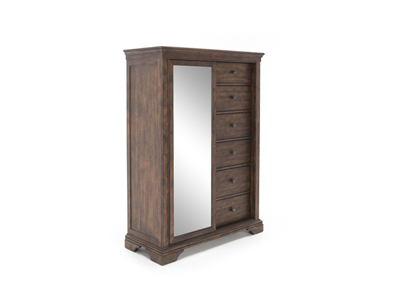 Foot levels are also included on this item.